It's a late afternoon in mid-January when a solemn-faced Harris Fricker shuffles into a dimly lit conference room, three floors above the nexus of Toronto's financial district. Mr. Fricker, chief executive officer of GMP Capital Inc. – one of Canada's largest and most-storied independent brokerages – has just received board approval to unveil a major restructuring that will cut jobs, shutter offices and drastically reduce his company's global footprint. "You either adapt or you perish," Mr. Fricker says, going over the details of his plan. "It's a very, very tough operating environment." The next morning, GMP will eliminate a quarter of its work force – including 73 positions in Canada – while closing operations in Australia and Britain and cutting roughly a third of its U.S. staff. The company's long-standing dividend will also be eliminated. "The decisions made were gut wrenching and the cause of many hours of lost sleep," read a next-day memo to staff from Mr. Fricker. "Today is a tough day for all of us, especially our partners who lost their jobs." The fate of GMP and scores of other independent Canadian brokerages is indelibly linked to the health of the resources market. Crude oil, the single most important commodity for independents, has been in free-fall – plummeting 70 per cent since mid-2014. In its most recent quarter, GMP's energy sector investment banking revenue cratered a staggering 87 per cent year-over-year. The company's shares are trading near an all-time low. Rival firm Canaccord Genuity Group Inc. isn't faring much better. As recently as mid-2014, Canaccord's market capitalization was in excess of $1.35-billion. It's worth roughly a third of that today. Canaccord, too, has been forced to lay off staff, parting ways with 15 bankers in November. At the smaller end of the scale, it's orders of magnitudes worse. Fifty boutiques – one quarter of the industry – have either gone out of business or been acquired in distressed sales over the past three years, according to data from the Investment Industry Association of Canada (IIAC). In December alone, three boutiques shut down – and some were messy. When Octagon Capital Corp. went bust, the Canadian Investor Protection Fund (CIPF) had to bail out a $4.7-million investor shortfall. Jacob Securities was shut down by the regulator amid a host of compliance violations. "This is the absolute worst environment I have ever seen for the independent brokers," says Sumit Malhotra, a veteran equities analyst with Scotia Capital. The closings and cuts resonate far beyond Bay Street. Independents are an integral part of the Canadian capital markets ecosystem. They once funded large swaths of companies listed on the Toronto Stock Exchange and almost the entire TSX Venture Exchange. 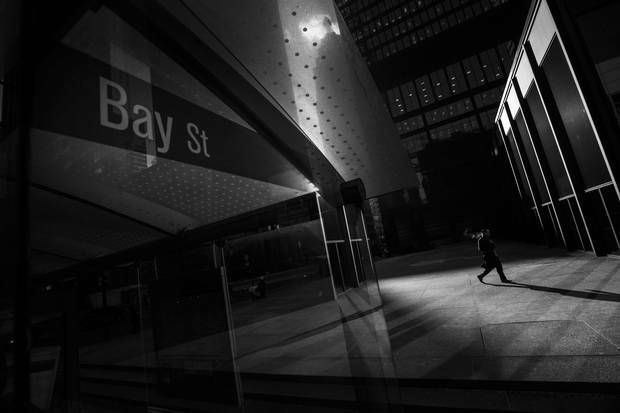 On Bay Street, boutiques have led the way in everything from compensation to financial innovation, while drawing in some of the great characters in Canadian finance. Much of what ails the industry is out of its control. The broad collapse in commodity prices has seen deal making, financings, and trading volumes plummet. At the same time, a multiyear upending of the business model – much of it driven by technology – has caused traditional revenue sources to evaporate. Regulatory costs, too, have escalated worldwide in the aftermath of the 2008 financial crisis. "A perfect storm," Mr. Fricker says. The industry has faced great tests before: The Bre-X Gold scandal in the late-1990s; The dot-com technology crash; The financial crisis of 2008. But nothing compares with what's happening right now. The shape and form of the modern-day brokerage industry can be traced back to a regulatory change that came into effect almost 30 years ago. 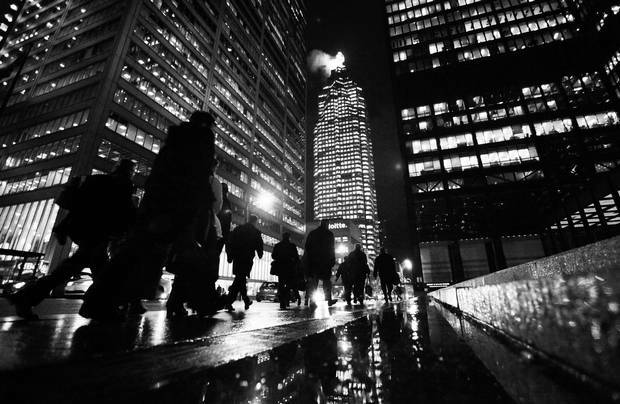 In 1987, a ban prohibiting Canadian banks from entering investment banking and trading was lifted. Within months, many of the large independents – some of which had existed since the turn of the century – were swallowed by the banks. In short order, Bank of Montreal bought Nesbitt Thomson, Royal Bank of Canada acquired Dominion Securities and Canadian Imperial Bank of Commerce swallowed Wood Gundy. While many of the early independents were conservatively-run businesses – specializing in investment banking advice – they took on more risk over time. In the 1980s, Gordon Capital pioneered the "bought deal," wherein a brokerage buys an entire stock offering directly from an issuer at a discounted price. If the shares aren't flipped to third-party investors quickly, the broker can take a disastrous hit. Soon after the banks entered the brokerage industry, tensions arose between the stuffy chartered bankers and the risk-taking mavericks on the capital markets side. Through the 1990s, the big banks struggled to meld the old with the new. Attempts to make their newly acquired brokerage arms less risky often didn't sit well. "There's no doubt that people were feeling stifled," says Kevin Muir, a former trader with Dominion Securities and RBC Dominion Securities, who witnessed the transition from the inside. "I saw, firsthand, that clamping down on risk." The friction emboldened a new generation of entrepreneurs. Among them was Terry Salman, an ex-U.S. Marine who'd seen combat in Vietnam. Mr. Salman got his start in the financial industry as a research analyst with Nesbitt Thomson in 1973. He stayed loyal to the independent for more than 20 years while taking on increasingly senior roles. But after Nesbitt was acquired by BMO, he started to get antsy. "I wanted to go back to something smaller – not bank-owned," Mr. Salman says. "I decided to start my own firm." 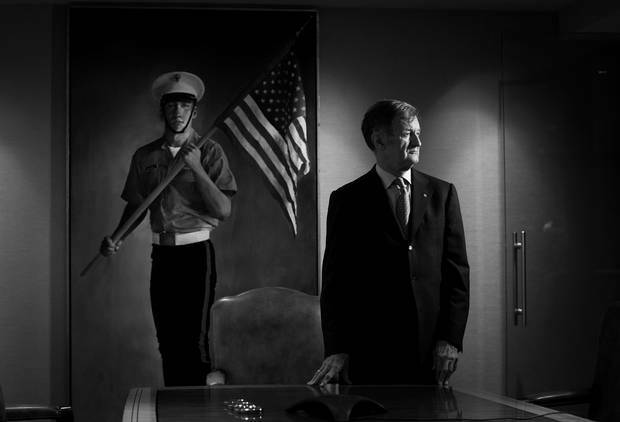 Terry Salman, a former U.S. marine, in the Salman Partners boardroom. When Mr. Salman started his own firm, he purchased the painting – by Attila Richard Lukacs – which once hung in the foyer at Nesbitt Thomson, where Mr. Salman had worked for 21 years. It has been in the Salman Partners’ boardroom for more than two decades. In 1994, Salman Partners began building a strong equity research department. Institutional investors paid handsomely for the firm's stock reports and the research helped win lucrative corporate financing business. "In the early days, we were able to do very well. We had a very, very good business model," Mr. Salman remembers. Salman was part of a new wave. The next year, Griffiths McBurney and Partners (now GMP) started up. Its founders – which included Brad Griffiths, Kevin Sullivan and Michael Wekerle – were all hungry, entrepreneurial-minded exiles from independents. "These were talented individuals. Known salespeople, known traders, known investment bankers and they hit the ground running," says David Fleck, former head of sales and trading at BMO Nesbitt Burns. 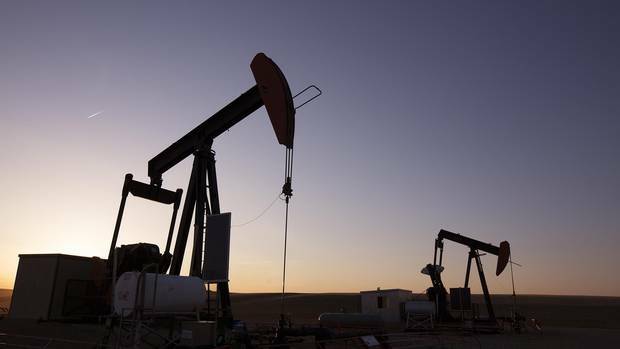 Salman, GMP and other independents zeroed in on small- and mid-cap oil and gas and mining exploration companies, a somewhat sleepy sector in the late nineties that the banks – who concentrated on big-cap companies – largely let the independents have to themselves. That early strategic decision by the boutiques would pay off in a huge way in the years ahead. "The whole commodity boom changed everything," Mr. Muir says. In the early 2000s, China's economic coming of age was beginning to fuel unprecedented demand for oil, natural gas, gold and base metals – natural resources in which Canada was teeming. "Now, all of a sudden, instead of the established companies like Bell or Nortel or CP being the hot stocks, it was actually all those stocks that the banks had been ignoring for so long," Mr. Muir says. The new guard of independents – GMP, Paradigm Capital, Haywood Securities, Peters & Co., FirstEnergy Capital, Salman Partners, Dundee Securities and many others – were ready and willing to service thousands of upstart resources companies that were looking for funding. "When you're a mid- or small-cap commodity company, it's access to capital in the form of equity that's crucial because banks don't give you leverage when you're starting a mine. It's too risky," Mr. Fleck says. "The boutiques were perfectly positioned to do bought deals." One such company was tiny FNX Mining. When founder Terry MacGibbon wanted to raise money to dig for nickel and copper in a couple of abandoned mines in Northern Ontario, he knew he had little chance of securing money from a bank. Dundee Securities, though, was more than willing to take a flyer. "Dundee did the first seed-capital raise for us at 40 cents in 2001. We raised $1.5-million and that allowed us to expand our very small team," Mr. MacGibbon says. Through the 2000s, FNX became a multibillion-dollar company with much of its capital coming from independents Dundee and GMP. The boutiques were also thriving on the trading side of the business. GMP, in particular, was consistently among the most active trading shops on the Street, which helped it win even more investment banking business. "GMP would go to an investment banking client and say: 'We're trading your stock. We know where your stock is. We should be your lead banker. Forget about these banks because they don't know how your stock trades,'" Mr. Fleck says. "FNX Mining, they would trade that like crazy. Like water. When FNX decides to do a financing, who are they going to call? Are they going to call BMO? Or are they going to call GMP?" David Fleck, formerly of BMO Nesbitt Burns, knows all too well why independent brokers were once such a force. In 2003, GMP launched an initial public offering at $5.50 a share. Canaccord followed the next year. Both expanded internationally. "They were building these pretty big platforms. These platforms were not much smaller than my platform at BMO. And I'm competing against these guys," Mr. Fleck recalls. In 2006, GMP's shares peaked at $28. Privately held independents also skyrocketed in value. In 2007, Westwind Partners, which had been set up only five years prior, was sold to U.S. firm Thomas Weisel Partners Group for $147-million (U.S.) – or roughly five times book value. In the same year, Australian investment bank Macquarie Group paid $146.5-million (Canadian) for Orion Financial. "A lot of the global firms were like, 'This commodity boom is fantastic. We don't know what we're doing. We'd better buy someone,'" Mr. Fleck says. By the mid-2000s, the independents had become the place to work on Bay Street. 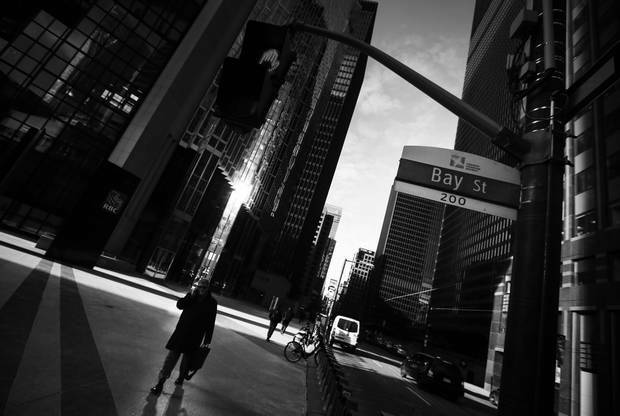 Top performers were collecting some of the richest pay packets yet seen in Canadian finance. 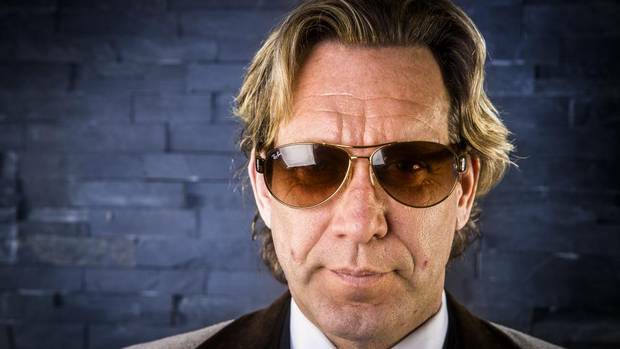 In 2006, GMP's head trader, Mr. Wekerle, took home roughly $4-million in bonuses alone and held equity worth $90-million. While he was an aberration, there were many boutique traders and investment bankers commanding multimillion-dollar paydays. Their success drove compensation higher across the industry. "The employee shareholders at good boutiques were not only getting paid very well from the bonus pools, they were also making returns of 50 to 100 per cent on their equity in the firm," says Joe Kan, a Bay Street headhunter. "The bank-owned dealers essentially needed to 'circle the wagon' around their top producers by paying them well in comparison, so there was less financial incentive to leave and join one of the quality boutiques." The success fuelled an era of ostentation and indulgence rarely seen before or since. At the time, Mr. Wekerle was zooming around Bay Street in a purple Lamborghini. When the supercar was smashed, he replaced it with an orange one. "You had these guys that were the most aggressive; the biggest risk takers making the most," says Mr. Muir, the former trader. "It was an absolutely insane time." "Up until 2008 we were doing fine. And then it just started to come off the rails," Mr. Salman says. The great financial crisis of 2008 hit independents hard. Commodity prices plunged. Earnings took a hit. Deal flow and financings slowed. Post-crisis, a new wave of technological and regulatory changes would be ushered in that would permanently alter the business. The competitive landscape was also about to get a lot tougher for boutiques. Mr. Fricker's "perfect storm" was rolling in. Post-2008, big banks, battered by the same forces as everyone else, started to compete more aggressively to win investment banking revenue in the small- and mid-cap sectors. Independents who routinely had been the lead bankers in equity underwriting syndicates in energy and mining were suddenly becoming marginalized. "The syndicates became much more dominated by the bigger players, particularly the banks, and our positions became much, much smaller," Mr. Salman says. With their gigantic balance sheets, banks could dangle cheap loans to companies – something independents could not offer. Those loans gave banks a crucial edge over the boutiques. "If they're lending to a company, then they're also going to be saying to that company: 'We expect to advise you in M&A and underwrite your stock offering,'" says Mr. Fricker, who watched GMP lose reams of corporate financing business to the banks. Through the latter part of 2009 and into 2010, commodities, particularly gold, entered yet another bull market and business at the boutiques rebounded. But the independents were about to face another test – one they would be powerless to stop. The trading side of the business – which historically had kept the lights on at the brokerages – was about to be turned upside down. New regulations mandated portfolio managers execute a trade at the lowest cost; business could no longer be won based on a broker's relationship with a portfolio manager. "In the old days, you would bring your research analyst in if you thought you had a great idea. You would pitch the portfolio manager and if the portfolio manager thought the idea had resonance they would be a buyer of the stock and typically they would be a buyer through your trading desk," Mr. Fricker says. "A portfolio manager no longer dictates who they trade with." Making matters worse, the rise of electronic trading, or "direct market access" (DMA), gave in-house traders at asset managers the ability to execute trades at a fraction of the cost of going through a broker. DMA was tailor-made for trading highly liquid stocks. "DMA certainly is cheaper and it certainly has proliferated," says Diana Avigdor, head of trading at Toronto-based asset manager Barometer Capital Management. "We are low at Barometer, probably around 20 per cent [usage of DMA]. But I know some large firms are at 50 per cent." Stocks also became increasingly traded on so-called "dark pools" as opposed to stock exchanges. Buyers and sellers plug directly into these pools anonymously, cutting the broker out entirely. The institutional stock trade, a market in which the brokerages had held 100-per-cent share, was being inexorably taken out of their hands. Trading commissions plummeted across the industry. "Trading has probably been the most devastating thing from the standpoint of a secular change," Mr. Fleck says. "That's permanent." By the fall of 2012, the great bull run in gold was over and the metals market was in a tailspin. Suddenly, nobody wanted to finance a new mine, and cost cutting became the industry mantra. Then, in mid-2014, with scads of new supply coming on stream, and Chinese demand waning, the oil market collapsed. Boutiques that had depended on mining and energy for countless financings were suddenly vulnerable. Between 2013 and mid-2015, a number of well-known firms went out of business, including Fraser MacKenzie, Byron Capital and EdgeCrest Capital. By late 2015, Salman Partners – with its 75-per-cent weighting in resources – was under immense strain. The firm was winning almost no investment banking business and its clients, under severe financial strain themselves, had long since stopped paying for research. "I needed a few days to clear my head. I went skiing. I just said to myself 'how can I make this work?,'" Mr. Salman says. "I just couldn't come up with any answer." In December, Mr. Salman made the excruciating decision to wind up his business and laid off his staff of 40. After a 22-year run, it was over. Today, of the 100 or so independent dealers left in Canada, 50 post annual revenue of $5-million or less – "a magnitude suggesting insufficient scale to operate under existing conditions," according to Investment Industry Association of Canada CEO Ian Russell. In other words, more shutdowns are inevitable. Founded in 1994 by Terry Salman, Nesbitt Thomson veteran and former chair of Investment Dealers Association of Canada (IDA). Specialized in commodities sector. Known for strong research team. Founded in 2006 by ex-Dundee Securities investment banker Sasha Jacob. Specialized in renewable power sector. Shut down by the regulator after failing to meet minimum capital requirement and compliance violations. Founded in 1993. Employed 100 people at peak. Shut down by the regulator after failing to meet minimum capital requirement. Canadian Investor Protection Fund (CIFP) bailed out $4.7-million investor shortfall following shutdown. Founded in 2013 by investment banker David Beatty. Specialized in mining and energy. In 2007, Mr. Beatty sold his previous boutique, Westwind Partners for $147-million (U.S.). Founded in 2009, it specialized in small caps. Employed 60 people. Founded in 2004. Raised about $7-billion for small cap resource companies. Employed 80 people. Founded in 1970, it was the "first independent research-based institutional equity firm in Canada," according to the firm's website. Even in the face of this extreme pressure, not all of the independents are in a precarious state. Mid-tier broker Cormark Securities hasn't had any significant layoffs in the past five years, and none are planned. Cormark is well capitalized and its employees – all of whom own equity – have seen an average annual return on equity of 20 per cent over the past three years. "Relatively speaking we're doing quite well, but absolutely speaking we're going through tough times just like everyone else," says Scott Lamacraft, Cormark's chief executive officer. Cormark, like any broker in Canada, has material exposure to commodities, but during the boom years, it invested heavily in other sectors, such as technology and industrials. The firm, which has only two offices in Canada, also resisted the urge to get too big. It's a strategy that cost Cormark during the boom times, but means it is much better insulated now. "Independents that are doing well are well managed, have managed their costs well, and are firms that have some diversification on the revenue front," says IIAC's Mr. Russell. "Cormark, FirstEnergy, Peters & Co., Mackie Research, Haywood Securities – it isn't to say those firms haven't had their share of difficulty. But they're doing okay." Look hard enough and you can find one possible path through the rough for the brokerage industry. In the past few years, a number of new shops have popped up that offer investment banking advice, but do not have the now-expensive-to-run sales and trading desk. In 2013, ex-Dundee Securities banker Bob Sangha founded Maxit Capital, which specializes in providing M&A advisory work. In 2014, when three gold companies took a run at Osisko Mining, the big-cap gold company turned to Maxit (and BMO) for financial advice. In 2015, former GMP investment banker Neil Selfe founded boutique advisory firm, Infor Financial. Among Infor's early mandates was advising Element Financial on an $8.6-billion acquisition. (BMO, Barclays and CIBC were also named as advisers). "Infor probably had the best return on equity of any firm in our sphere of influence in the country last year," says Cormark's Mr. Lamacraft. Still, as the full-service independents get smaller, the big banks invariably get bigger. Early-stage companies in search of funding are left with less choice. 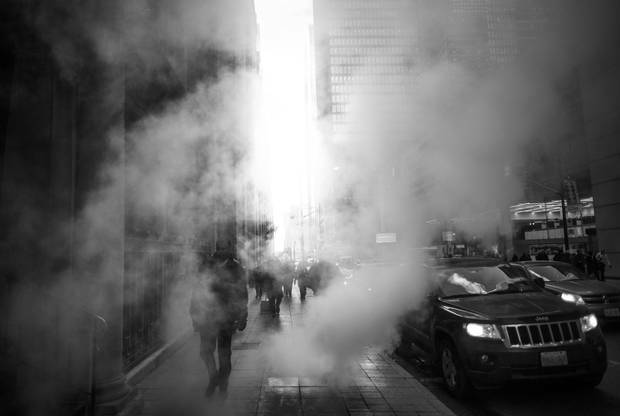 It's a scenario that few argue is a good thing for the health of Canadian capital markets. "Without those guys – not only FNX – a lot of companies would not have been able to raise money," Mr. MacGibbon says. Quadra FNX (formerly FNX Mining) was eventually sold for $2.9-billion in 2012. "They played – and will again hopefully play – a very important role in the industry." The independents that do make it likely will be smaller versions of themselves. More boring, less flamboyant, more regimented, less fun. The paycheques, already significantly smaller, may be permanently lower. "If you think that there's going to be an independent lobbying effort on behalf of the independent broker dealers, that annual convention could be held in a canoe," Mr. Fricker quips. "That ain't happening. It's all on us, and we earn multiples of what many hard-working Canadians make and that means you've got to step up every day and earn it, and be viable."